The plaque is easy to miss. 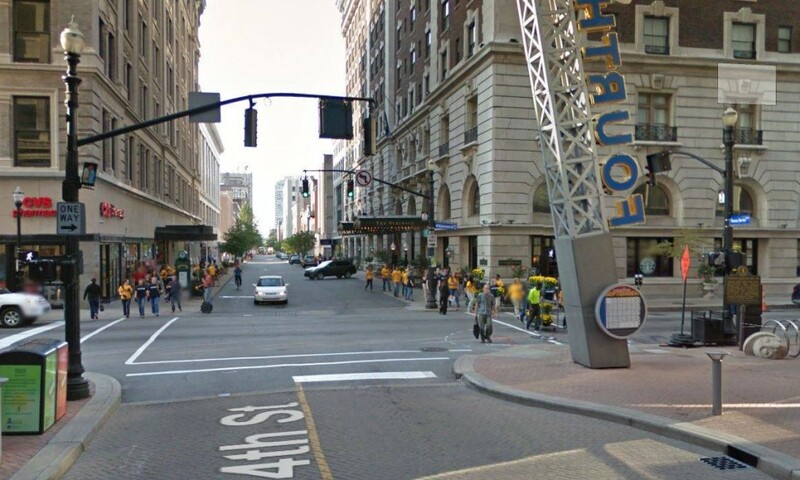 It stands on the corner of a busy intersection, right in front of Fourth Street Live in downtown Louisville. With all the people, traffic, flashing lights and noise, one might not even see the small bronze sign much less take the time to stop and read it. But if you did, you’d find that plaque commemorates an event that is pretty strange for a hectic, city intersection…it marks the spot of a moment of particular peace, a moment of clarity and quiet. It’s the job of a historical marker to draw attention to significant locations and people, but it must be a pretty rare thing for a marker to memorialize a vision. But the commemoration doesn’t stop there. Not only was a historical marker erected, but the street names were changed as well. 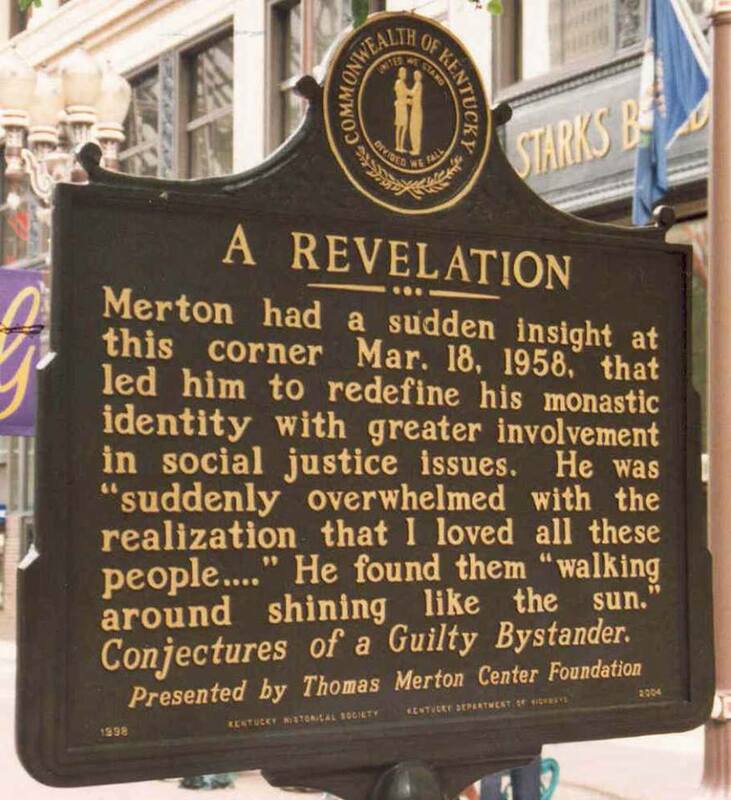 Where Merton had his vision at Fourth and Walnut streets is now the intersection of Muhammad Ali Boulevard and Thomas Merton Square. 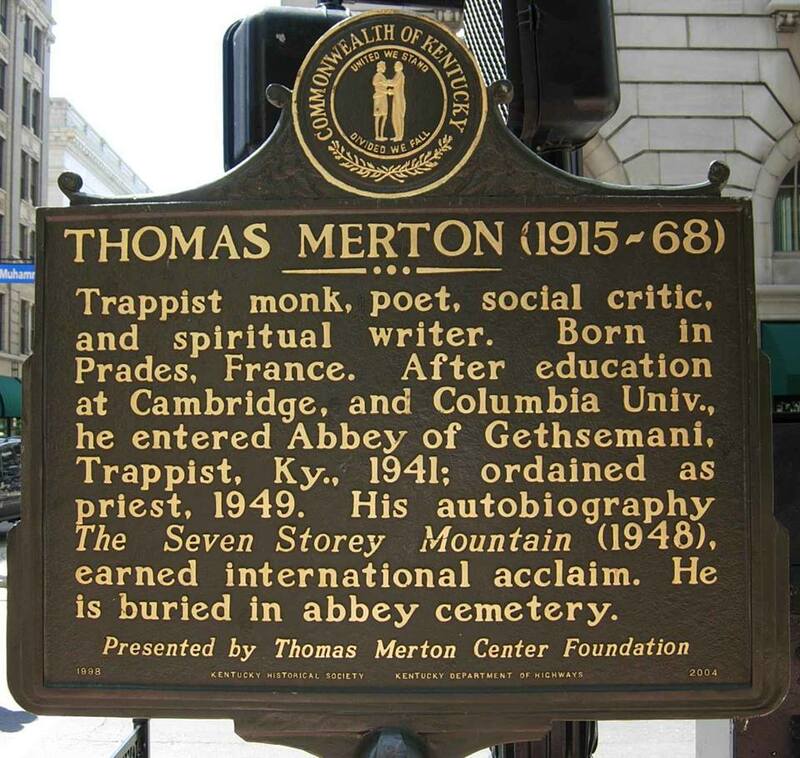 For more about the fascinating life of Thomas Merton, join us for the Evening Upstairs program at the McCracken County Public Library on Thursday, August 18, at 7:00 p.m.